Jessie Vargas and Thomas Dulorme will clash for the WBC Silver Welterweight title at the Wintrust Arena in Chicago on October 6, live on DAZN. Former two-weight World ruler Vargas (28-2 10KOs) is gunning for the chance to become a two-time champion at 147lbs and victory over Dulorme (24-3 16KOs) would move him into pole position to face newly crowned WBC champion Shawn Porter as the mandatory challenger, after Porter defeated Danny Garcia in Brooklyn earlier in the month. Las Vegas star Vargas headlines Matchroom Boxing USA’s first show in the States on DAZN and will have his hands full with the Puerto Rican – but with the stakes now raised even more, Vargas believes he can deliver a ‘tremendous’ victory and kickstart an exciting period in the peak of his career. “My focus has to be solely on Thomas Dulorme,” said WBC #3 ranked Vargas. 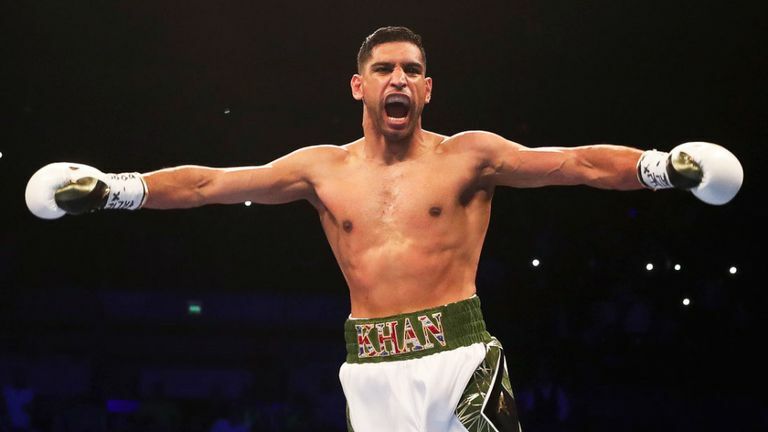 “This man is no walk in the park, he fights with his heart and always gives it his all, but I have prepared properly and record a tremendous victory. It’s going to be a great show and I’m proud to be headlining it. “This is the first step in the new phase of my career. As a fighter, it’s always best to have fights lined up and have a clear plan, have a promoter that shows you ‘you are going to fight three times in 12 months’ and when you get that certainty you know you have a couple of weeks off after a fight and then you are into another training camp to give the fans another great. I am stull young and I have plenty of years left in me at the very top level – I’m truly excited. Vargas and Dulorme clash on a huge night of action in Chicago, with two World title clashes and a huge fight for an American Heavyweight star. Russian Artur Beterbiev defends his IBF World Light-Heavyweight title against fellow unbeaten puncher Callum Johnson, the Brit in his first World title fight. Daniel Roman defends his WBA Super-Bantamweight crown against another Brit, second time World title challenger Gavin McDonnell, while Brooklyn’s brash Heavyweight star Jarrell Miller meets Polish legend Tomasz Adamek and three debutants grace the bill as Team USA talents Reshat Mati, Nikita Ababiy and Nkosi Solomon lace them up for the first time. Along with these World stars and promising youngsters, Chicago fight fans will be able to back two of their own on the night, with former World Lightweight title challenger Jessica McCaskill in action on the bill along with unbeaten Bantamweight prospect Shawn Simpson. 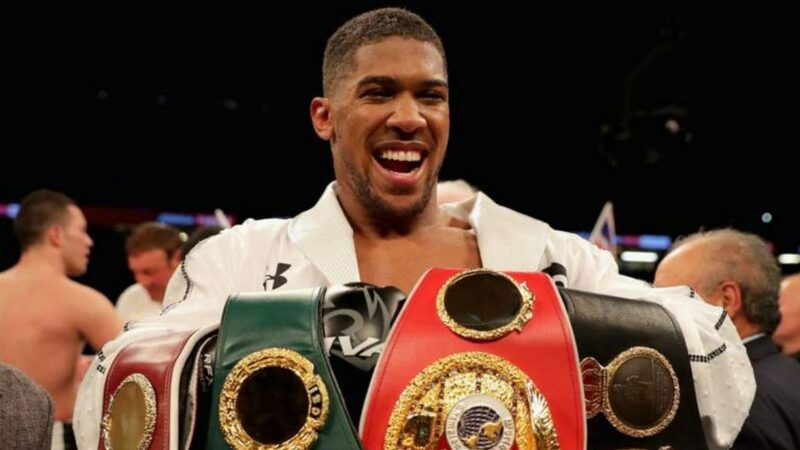 StubHub, the world’s largest ticket marketplace, has announced a new collaboration with boxing champion Anthony Joshua OBE, to auction the chance for fans to meet the sporting great at his weigh-in and win VIP tickets to his fight against Povetkin on Saturday 22ndSeptember. The auction, hosted on eBay.co.uk opens on Monday 3rdSeptember at 9 a.m. and lasts for ten days. Fans will be given the chance to get their hands on replica items and pictures signed and personalized by Anthony Joshua via auction. Furthermore, each bidder has the chance to win two tickets to the fight which takes place at Wembley Stadium on the 22ndSeptember. All proceeds from the auction will be donated by StubHub, the official ticketing partner of matchroom booxing in partnership with Anthony Joshua to Key4Life, a charity that focuses on reducing re-offending and gang-related crime through effective rehabilitation and preventative programmes. 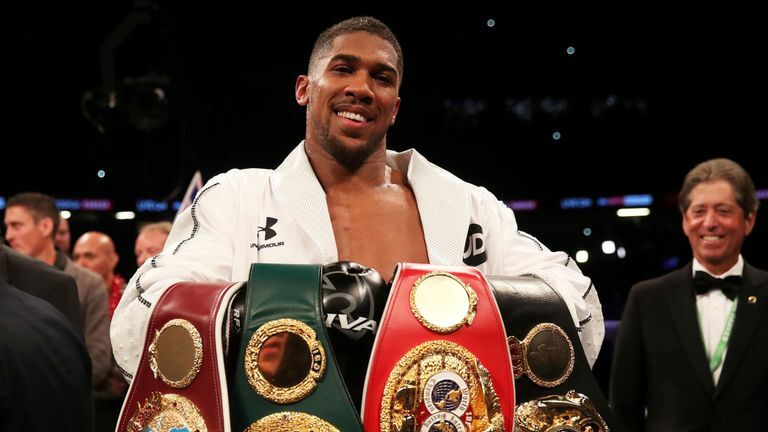 Joshua, inspired by his own experiences, has long-supported organisations that help disaffected and at-risk young people in the UK, and this is StubHub’s second partnership with Anthony Joshua to benefit a charity close to his heart. 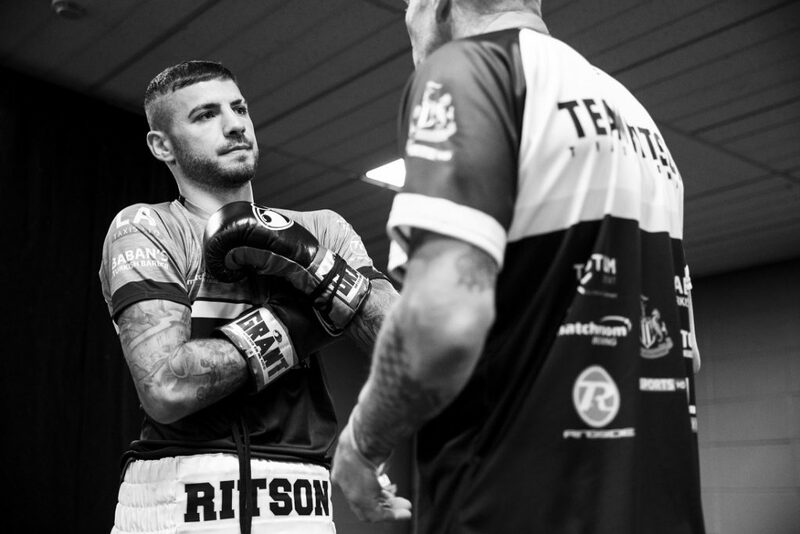 Lewis Ritson is right on schedule to land the British Lightweight title for keeps before moving onto European honours – but knows Paul Hyland Jnr is the biggest test of his career as they clash at the Metro Radio Arena in Newcastle on Saturday night, live on Sky Sports. Ritson has enjoyed a whirlwind eight months after stopping Robbie Barrett in seven rounds in Manchester to land the British title. Eddie Hearn quickly sealed the signature of the Newcastle ace to a five-fight deal and Ritson paid that faith back with two blistering wins earlier in the year, drilling Joe Murray in the opening round of their February showdown in Manchester and then getting rid of Scotty Cardle in the second round of their London shootout a month later. The 24 year old can claim the title for keeps with a win over Hyland Jnr, but the unbeaten Belfast man is confident of taking the title home, so Ritson’s optimism over his win and future European exploits has an edge of cautiousness to it. “It’s been a rollercoaster from the Barrett fight to here,” said Ritson. “I’ve put in three good performances and hopefully we can keep that going in front of my home fans. “It’s been a mad eight months and to be here now looking to hold the Lord Lonsdale belt outright inside that time is crazy. If I can do that, I’ll have a bit of a holiday and then look to get back in the gym and aim for another belt. It’s been a fast year but I am in the gym six days a week whatever happens so there’s no reason why I can’t win this and get two more in before the end of the year. “I haven’t seen much of Paul, I leave all that to the team, they have come up with the gameplan and it’s down to me to put it into action. He’s very confident that he’s going to win and so am I, we’ve got similar styles so it should be a really exciting fight with fireworks. 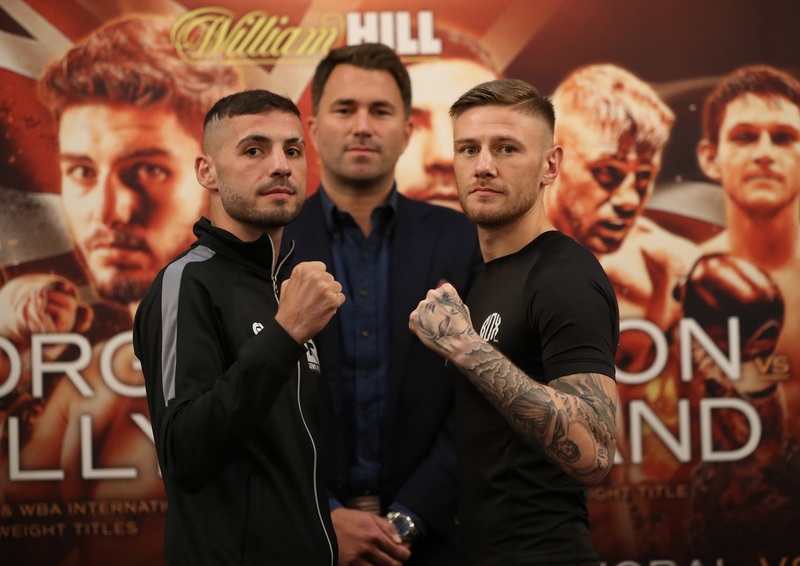 Ritson’s clash with Hyland Jnr is part of a huge night of action in Newcastle as Josh Kelly challenges Kris George for the Commonwealth Welterweight title. Gavin McDonnell defends his WBC International Super-Bantamweight title against Stuart Hall in a must-win clash for both men, Charlie Edwards and Anthony Nelson meet for the vacant WBA Continental Super-Flyweight title, Arfan Iqbal defends his English Cruiserweight belt against Simon Vallily and Ricky Burns fights for the 50th time in the paid ranks.